When considering that vast array of beauty enhancing services that spas and salons offer, I think that everyone can agree that waxing is one of the least pleasant experiences of them all. Before being exposed to the bevy of elite products that Pure Spa Direct offers, my depilatory experience consisted of Honey Wax, Honey Wax, and more Honey Wax. As a person with dry, sensitive skin, I thought I was fated to a life of painful waxing and ingrown hairs. 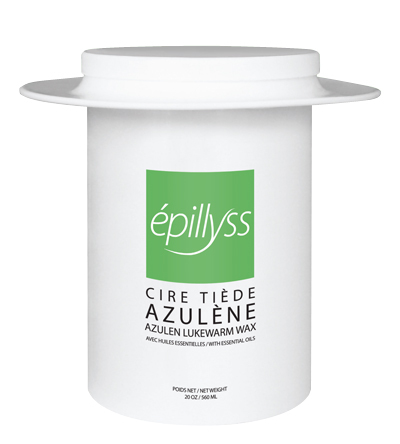 Such was the case until I tried the Epillyss Azulen Lukewarm Wax with Essential Oils. While the whole Epillyss line is utterly fantastic, the Azulene formula is my particular favorite. It is a strip wax that is Apple Green in color and it is formulated with Natural Pine Resin, Liquid Paraffin, Azulen, and Citronella Oil. The paraffin helps moisturize the skin while the Azulen adds anti-inflammatory properties. Azulen is a derivative of the camomile flower, known everywhere for its soothing properties. During the waxing session, what I specifically experienced was a smooth application and even smoother removal process. The hair came out very easily and no post-wax tweezing was needed. 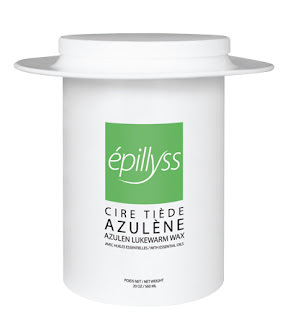 Unlike the average honey wax, all of the Epillyss waxes are specifically formulated to cling to the hair, not the skin. The result is less painful session for the client and a less strenuous session for the professional. A happy client comes back for repeat business, plus she brings friends! While the Epillyss line is slightly more expensive than the average honey wax, I strongly recommend looking into making the switch. You will find that the few extra dollars you pay up front will reap increased profits and help ensure happy and loyal customers. Make the switch today and stand out from the crowd!